Even with bustling Hwy. 290 and the expanding developments of Cypress less than a few miles away, a visit to Blackberries of Houston is like a step back in time to a place out of a chapter from a history textbook. Both born in 1930 into the agricultural world, Frankie and J.D. McMaster grow blackberries on their 7.5 acres of land off Mueschke Road, a pastime they turned into a successful business. Visitors come from all over Houston every summer to pick the blackberries during a season that lasts about one month. This year, the couple expects the blackberries will be ripe for picking starting around the third week of May. Although they have always enjoyed farming, the McMasters almost accidently stumbled into the business. “We used to give vegetables away, and our neighbor told us we were giving too many out, so we put a sign outside,” J.D. McMaster said. 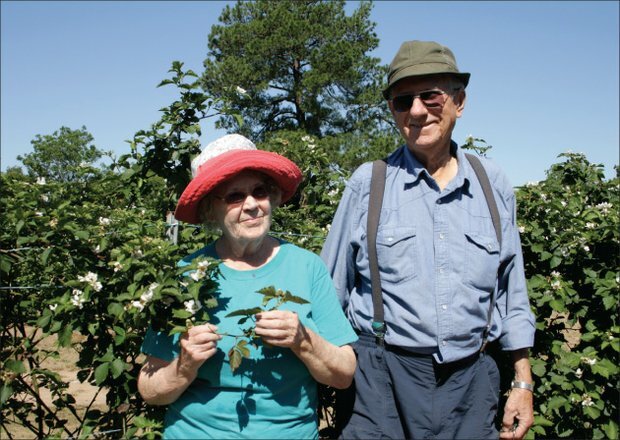 The couple traveled to East Texas in 1998 and bought 10 blackberry plants to start. The number increased to nearly 5,000 in the past 14 years. Customers who come to pick the blackberries are given a one-gallon container to store their berries, which can be made into numerous types of food. To make the crop expand, the couple takes the shoots from around the plants and transplants them. Since the weather was severe last season, J.D. McMaster expects a good crop this year.